A huge warm welcome to my dance academy. Looking back it seems like only yesterday that I opened the school with only a few pupils all of which were only 4 years old – now they are in their teens and nearly as tall as me – if not taller! How time flies when you're having fun. Originally I opened the school because I love dancing and wanted to share my passion and knowledge with pupils. But through the years I have learnt that the most fulfilling part of my job is seeing little faces light up when you turn their dreams into reality and when they draw you pictures or pick you flowers on their way to class – I am always so touched and keep every single drawing. I can probably embarrass a few of my seniors if I had a look in my attic! But seriously to see pupils grow in confidence as well as exceptional dancers is one of the most rewarding parts of my job. My priority is to make your child's lessons here as fun and inspiring as possible. Offering outstanding teaching to encourage and develop excellent deportment, strength, rhythm and technique. Dancing should be fun and through my lessons children learn these disciplines without even realizing it! We are so confident that you will love our classes that we offer 2 free trial classes. We believe opportunities should be available to all children and have shown this through our competitive prices. I have been running a very successful school in London for over 10 years and now I am very excited to announce that I have just opened a brand new school in sunny Eastbourne! With over 100 pupils the children have the opportunity to perform at a professional theatre as well as dancing at school fete's and carnivals. As you can imagine it is a thrilling and magical experience for each pupil young and old! Those who wish to take examinations can do so and I am very proud of the 100% success rate the school holds. Thank you for your interest in the Georgiana Elite Dance Academy. I wish you and all my pupils a wonderful, enjoyable and uplifting experience. Natalie's passion for dance has been with her for as long as she can remember. At the tender age of 5 she would hold her mum's friends to ransom making them watch her prance around the kitchen floor in her new slippers which sounded like tap shoes! Natalie's mum gave in to her and enrolled her and her sister at The Monique Academy Of Dancing in which they studied Ballet Tap Modern Greek and National dancing. Loyal to the school they both took RAD and IDTA examinations with exceptional marks such as Highly Commended and Honours. As their confidence increased they were admitted into Festivals, competing against other schools. This was a magical time for Natalie, thrilling and exciting and she cherishes every memory of her and her sister dancing together. When she was not performing herself she would watch every other performance with anticipation and hunger. Hunger to learn and improve her own ability. Loving every moment of every class she was taken to see The Musical Cats in The West End. Natalie and her sister came out trying to kick their legs as high as Bonnie Langford(on the pavement!) It was then that Natalie knew dancing would be her life. To further her education shetrained at the London Studio Centre gaining a 3 year diploma in Dance Performance. Subjects studied included ballet, tap, street jazz, rock jazz, Matt Matox Contemporary Body Conditioning, rhythm tap, movement for musicals, pointe work, voice, singing, drama and improvisation. She also trained after school at Pineapple and Dance Works, taking rhythm tap classes with great teachers such as Tobias Tak; a wonderful teacher who has a unique style and who was an inspiration to her. Natalie also trained at the Miss Saigon School which was a wonderful experience, being coached by famous singing teachers such as Mary Hammond. Her sister chose singing as her career path and Natalie was very proud when she performed her West End Debut in Miss Saigon. But dancing was always her passion and Natalie got her first dance break for a dance company in London and later travelled abroad working both as a dancer and choreographer. She had the time of her life...! Since her return home to England Natalie has been very busy, studying teachers examinations with Miss Yvonne Goute and gaining excellent qualifications in dance to Fellowship level. 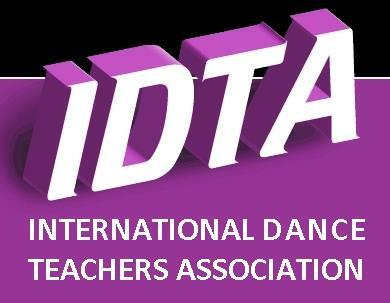 She was highly commended for all her examinations gaining her a FIDTA teachers qualification as well as being a teacher recognised by mutual agreement of the Royal Academy of Dancing. As well as opening her first dancing school, Natalie and her Mum set up a company to raise money for Leukaemia Research. Whilst Natalie's Mum was chasing people for donations and sponsorships (and doing exceptionally well I might add, with signed autographs from Gary Lineker and Flying Eye donation - a helicopter for those of you too young to remember! ), Natalie produced and directed three shows and organised four dinner dances with a cabaret (most of whom were friends who hadn't danced a step in their life! Fun, fun, fun for a worthy cause - that's what friends are for...!). Natalie has performed in many shows and pantomimes at many wonderful theatres including the beautiful Swan Theatre in Wycombe for different companies and favourites include West Side Story (boo boo boobly boo), 42nd Street, Oliver, Crazy For You, Fame, Hello Dolly, Half A Sixpence, Jesus Christ Superstar and Evita. Natalie has been approached by many companies and societies to choreograph or teach. Challenges include teaching a whole society of adults who have never danced before to tap in 42nd Street and to train men who have never had any training to lift girls into high dangerous positions - scary! Pantomimes performed by the Hanwell Operatic Society have also been a big part of her career, choreographing the ballet scenes in Cinderella and Sleeping Beauty at the Greenford Hall. Natalie also choreographed the number Buenos Aires from Evita which was performed at the Questors Theatre in Ealing, in aid of another worthy cause, meningitis.